Beer nineteen, the final milestone in my ground-breaking research into the addition of pumpkin to ale. Did we end on a high note? Did I finally find the elusive, perhaps mythical, 10 candy corn beer? Is Lighthouse Brewing Company’s boringly named Pumpkin Ale the pinnacle of pumpkin perfection in a pint glass? Well, no. Lighthouse Pumpkin Ale pours very clear, pale orange copper in colour with absolutely no head retention whatsoever. The white head that initially appeared was gone by the time I moved the glass to snap a picture. The nose has some pumpkin pie spices and a brown sugar element to it. Mouthfeel, this one is very, very light bodied and a bit cloying in its sweetness, like there was lots of sugar remaining in the beer. It is also the flattest of all the pumpkins I sampled. Pie spices and sugar are the dominant flavours and there is not a lot to the finish. Far too light and too sweet for my taste. 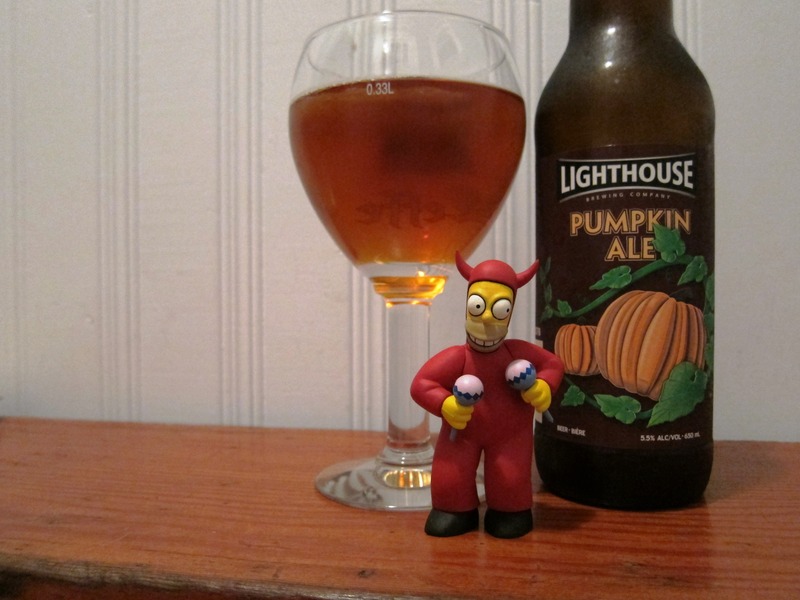 Lighthouse Pumpkin Ale is being bestowed four candy corns out of a possible ten. The countdown to the final three pumpkin beers is underway and I see the flickering jack-o-lantern at the end of the tunnel. 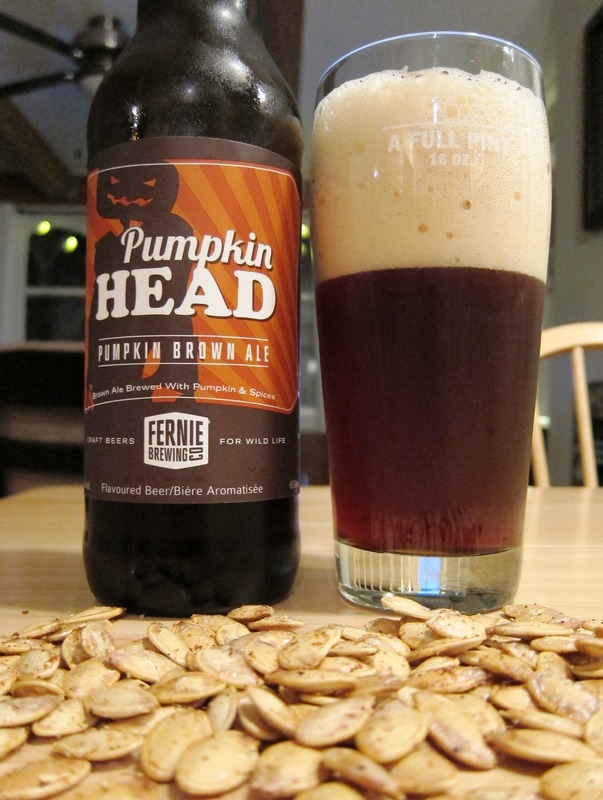 Fernie Brewing Company’s Pumpkin Head Pumpkin Brown Ale has the dubious distinction of forming one third of this final triumvirate and to be honest I may be tougher on these last beers since I have done my pumpkin homework but let’s give it a go and see how it pours. Pumpkin Head pours a deep reddish brown with a little bit of haze and tons of cream coloured head; head retention is quite impressive. There is a little bit of pumpkin pie spice to the nose, a squash element and a bit of yeastiness. I am surprised how light bodied this one is being a brown ale at heart. As you drink the dominant taste is the earthiness imparted by the pumpkin, the spices are more of an afterthought but I do get clove on the finish. Like the Red Racer I wanted a bit more from this beer as it felt like a pretender to the throne. For those that like it ‘lite’ you may enjoy this one more than I.
Fernie Brewing Co.’s Pumpkin Head warrants a six out of ten on the candy corn meter. Sweet Sixteen. 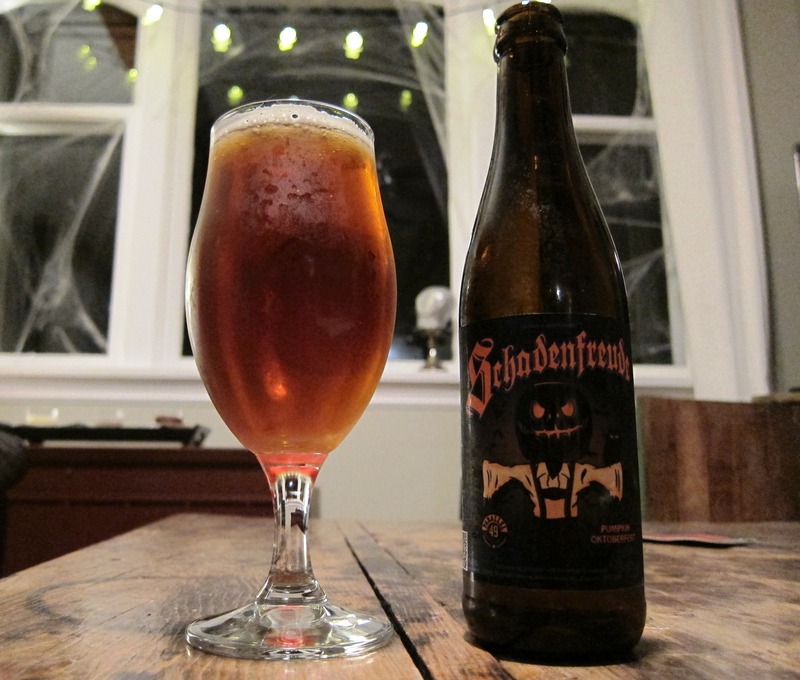 It is almost Hallowe’en and thank goodness since I am getting mighty sick of drinking pumpkin beer. With that embittered and biased preface out of the way allow me introduce Central City Brewing’s Red Racer Pumpkin Ale (I’ll play nice I promise). Red Racer Pumpkin pours a very, very clear orange with a little bit of off-white head that vacates the premise pretty quickly. The nose is subtle but I think I detect some pumpkin pie spices in there maybe cinnamon and maybe some nutmeg. 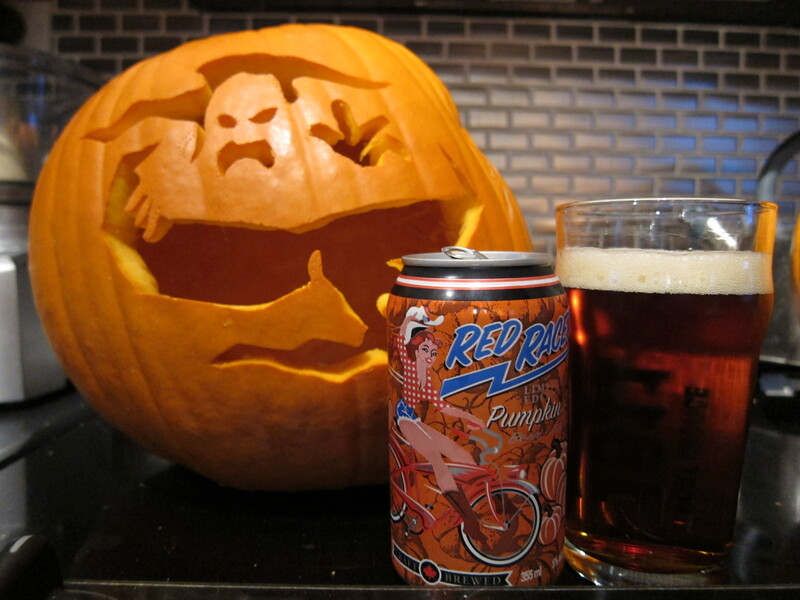 Red Racer Pumpkin is a light bodied and low ABV (5%) ale that is very clean drinking. Flavour wise you get the pie spices and a touch of bitterness. There was no discernible finish to this one. If you are looking for pumpkin beer done light, a baby pumpkin beer if you will, this is the six-pack for you, it was kind of like they took one of the big pumpkin beers and cut it in half with water. Don’t get me wrong this is not necessarily a bad thing sometimes you just want a session beer that hints at bigger things but personally I like a beer with a big attitude. 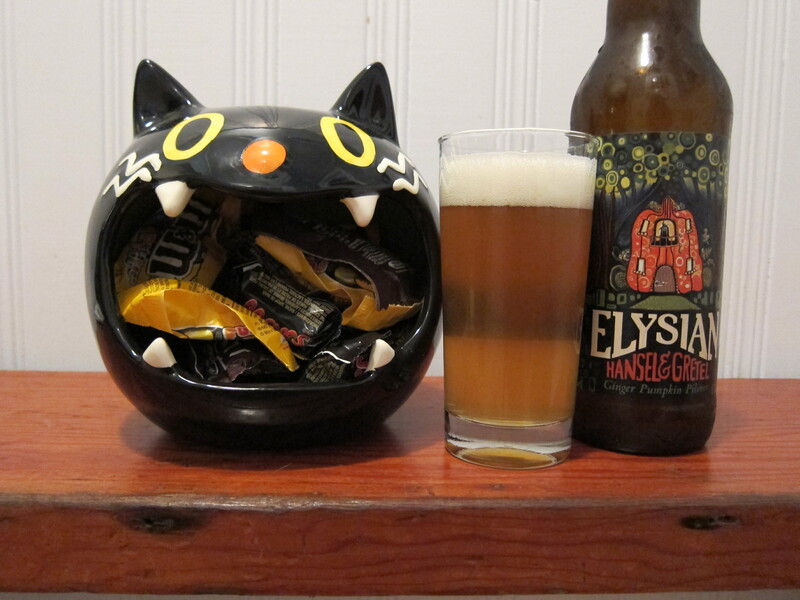 I am giving Central City’s Red Racer Pumpkin Ale six candy corns out of a possible ten. It is the two week mark into my pursuit for the pinnacle of pumpkin beers and either I am getting really sick of pumpkin or I have hit a dud. 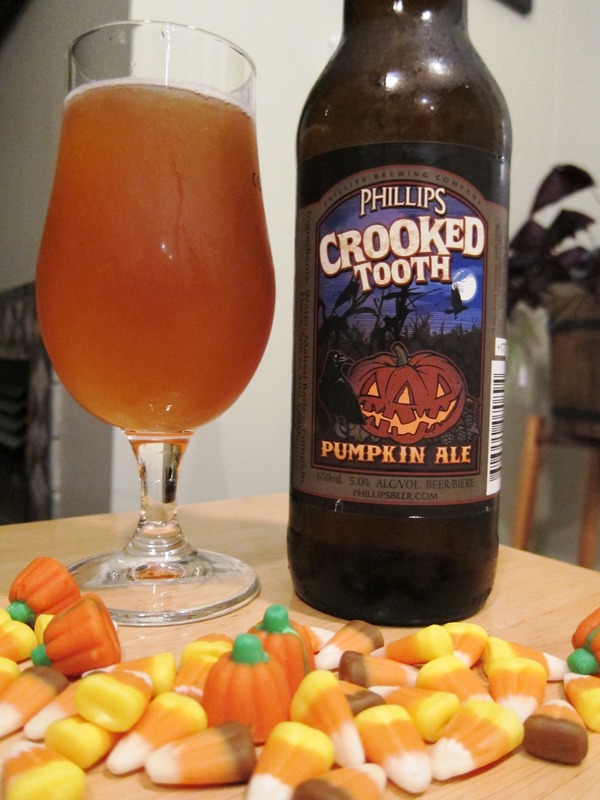 Sadly I think the latter is the case for Phillips Crooked Tooth Pumpkin Ale. Crooked Tooth pours a very pale orange with some carbonation and sediment. There is little to no head on this beer. On the nose there is an yeasty aroma, which is a little off-putting. 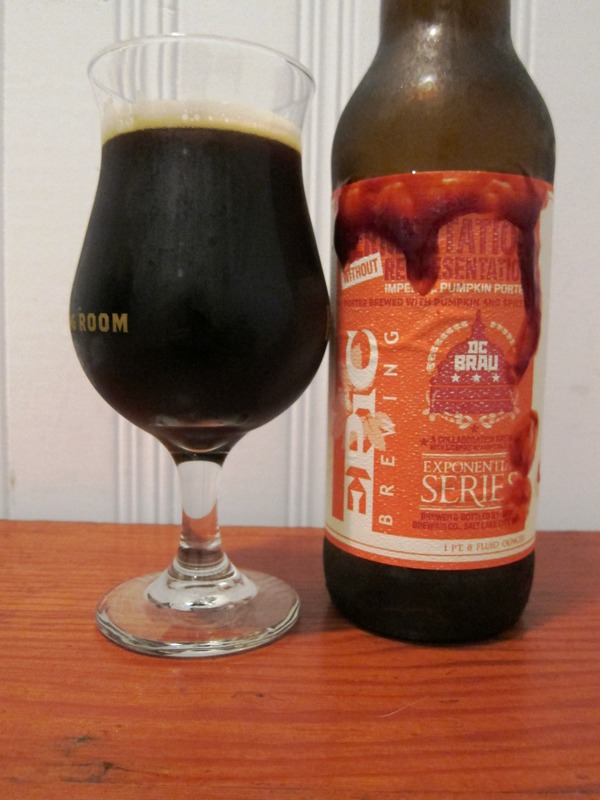 As you swirl the glass there are notes of pumpkin pie spices, mostly cinnamon, but they are pretty subtle. Crooked Tooth is the lightest bodied of all the pumpkin beers I have sampled and I do not get much in the way of a flavour profile from this beer. This one seems marked more by what it lacks than what it has going for it. There is no real finish to speak of. I am pretty disappointed with this pumpkin offering so I am giving Phillips Crooked Tooth three candy corns out of a possible ten. Working my way down the home stretch of my endeavour to solve the mystery of which is the greatest pumpkin beer of them all (at least for this year). 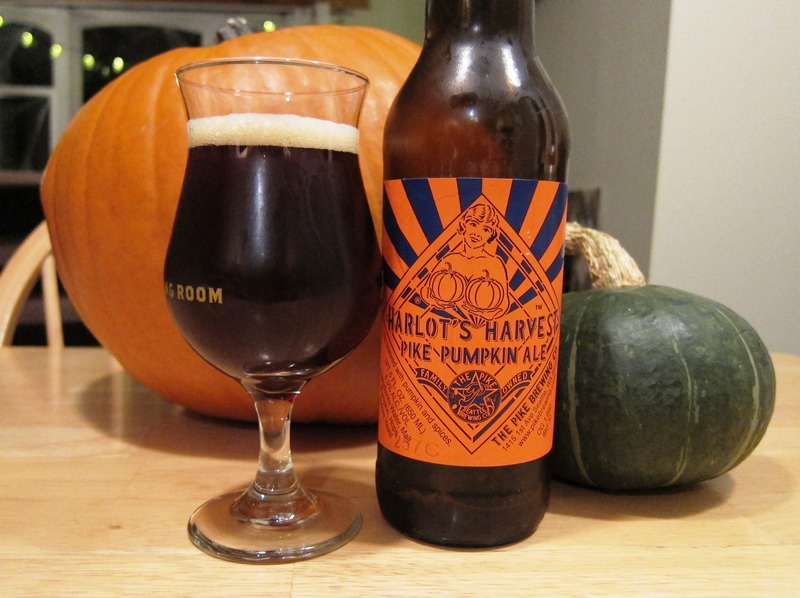 The contender this time around is Harlot’s Harvest Pike Pumpkin Ale from The Pike Brewing Co.
Harlot’s Harvest pours a deep amber caramel colour and appears somewhat cloudy. Initially there is a good amount of head and good head retention but this ale flattened out after it warmed for a while. 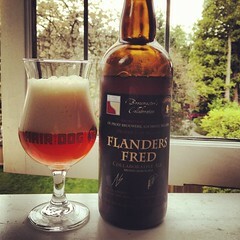 Lots of malt, some pumpkin pie spices and a green apple element to the nose (not always a great sign). Unfortunately the green apple quality persists as you drink it essentially fighting against the other flavours. It is strong ale, 8.5%, so I expected a bit more depth and body to this one. Pretty clean on the finish with a little maltiness lingering. 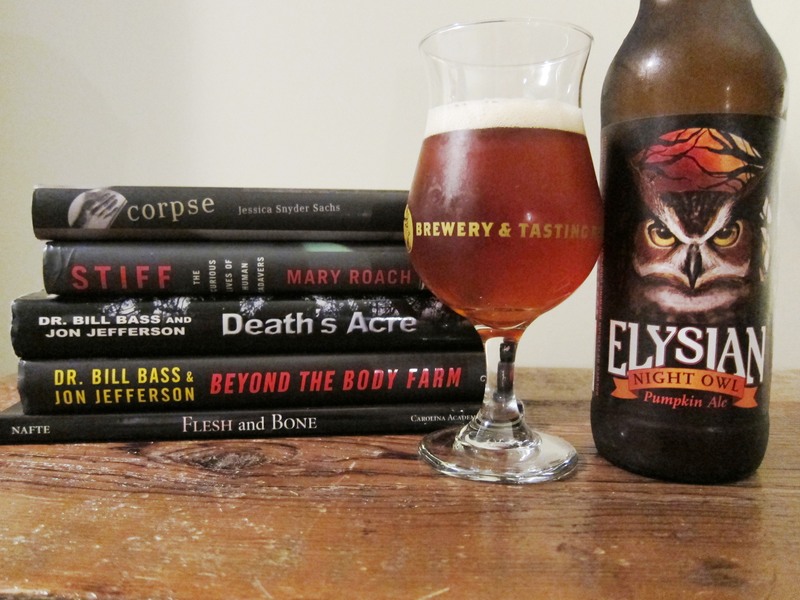 It seems like all the elements were there for a great pumpkin ale but this one does not really come together for me. I would give this one four candy corns out of a possible ten. On this pumpkin fueled roller coaster ride I started out slow then picked up speed but alas I think I may once again be on a downhill slope not because this beer is bad per se but rather I have run into another beer with an identity crisis, Epic Brewing’s Imperial Pumpkin Porter. The Imperial Pumpkin Porter pours a deep black amber with some opacity. There is a little mocha coloured head that has good retention. Cold coffee and roasty chocolatiness on the nose. These rich notes carry on to the flavour of the porter. Imperial Pumpkin is medium bodied with a real chewiness in the mouthfeel. The depth of this beer carries the deep roasted malty and chocolate flavours quite well and the finish has a nice burnt quality yet I am having a tough time finding the pumpkin in this one. There is a bit of spiciness in the flavour but the earthiness that comes from real pumpkin eludes my palate. I also found the spices on the nose pretty subtle with the other flavours dominating not enhancing the pumpkin character. As a porter I like this one but as a pumpkin beer I don’t think it is the best option out there so I am giving this one six out of a possible ten candy corns.